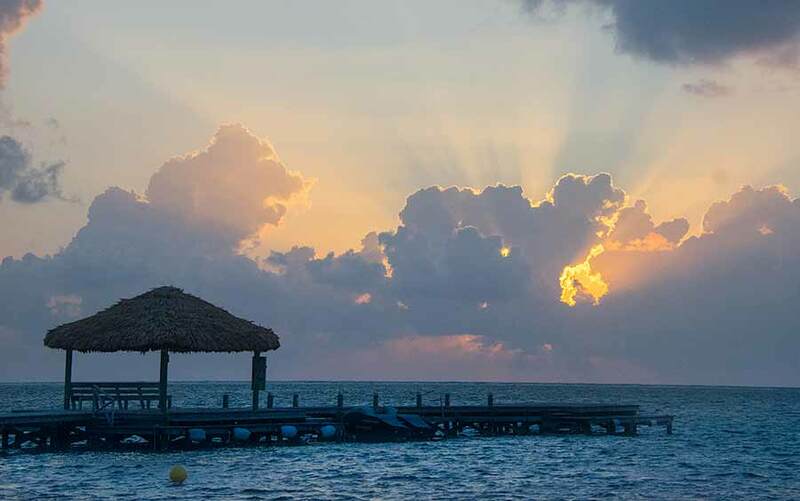 Belize NMS: Generally fair weather conditions expected through holy week. Marine Outlook: Wednesday night: Winds: E-NE 5-15 kt. ; seas: Choppy. ; waves: 3-5 ft.; isolated showers. On Ambergris Caye this morning the wind is from the ESE at 7 mph. Our expected high is 85. A nice sunny day ahead. The rain radar has clearly not been fixed. At present, the Caribbean winds are coming down from the ENE bringing cool air, but is not yet over land, it will pick up this morning as the fog, low cloud burns off and be from the east. The high level is from the west, but has little cloud at present, but there has been some cloud moving off Honduras, up across the Caribbean, there could be the odd patches of rain around. Looks like today will be sun and cloud, with the east wind later, only a small chance of rain. Some of you may have had some rain. 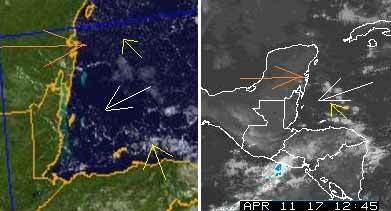 There are patches of that morning cloud that came up from Honduras, clashing with high level winds and then been brought in with the easterly Caribbean winds, shown in light blue. 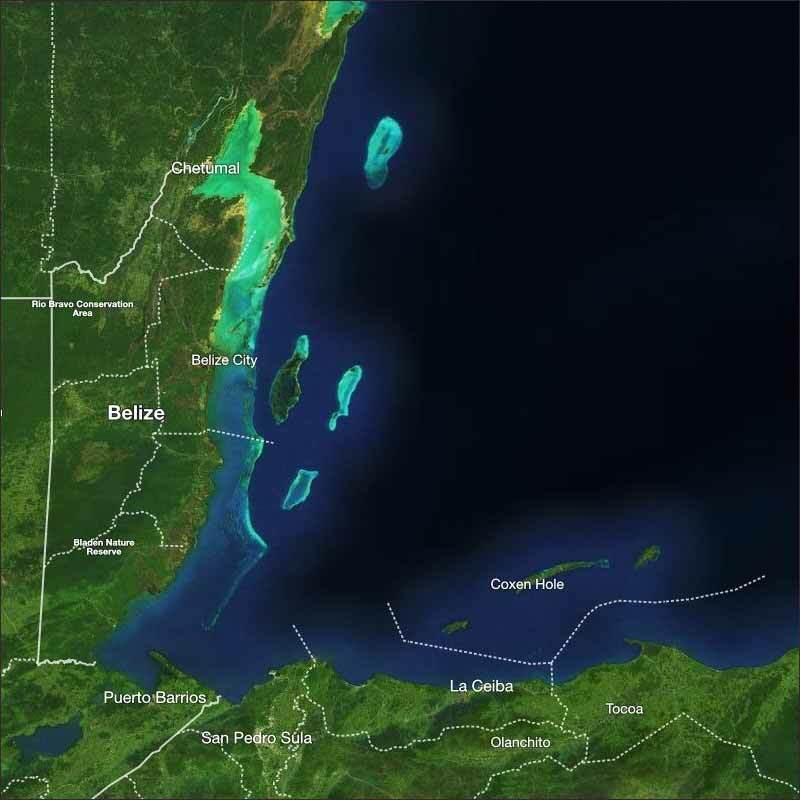 There was a small, but heavy rain around Belmopan and other areas in southern Belize. They have got the radar working again. 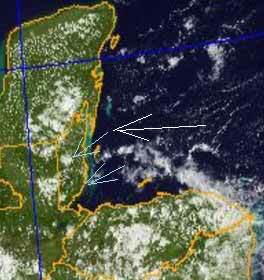 It is showing more rain just to the north of Belize, a little of that might reach some northern parts. There is more out at sea, that may get to some central and southern parts this evening or over night.